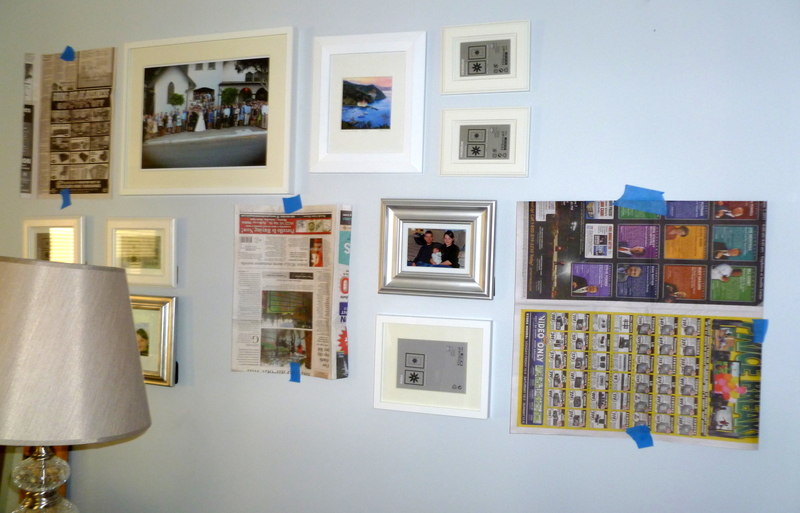 And the Gallery Wall is up! 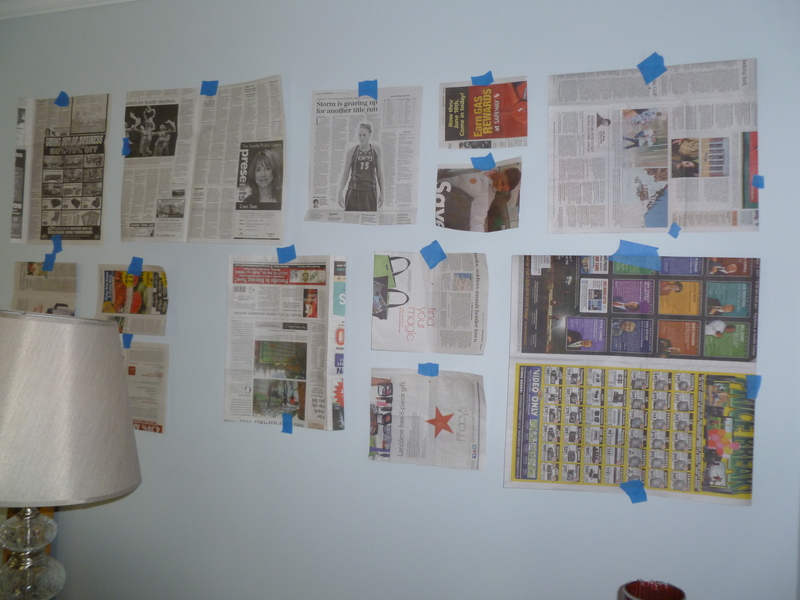 So again, back to filling the large empty walls in our house! 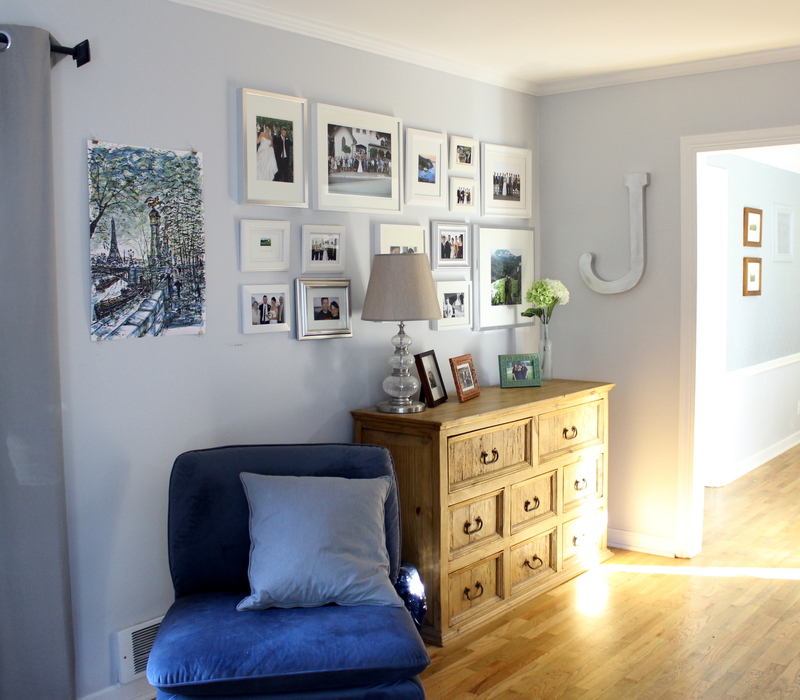 This one was a done a while ago, but the beauty of a gallery wall is that it can continue to grow, change, and evolve. 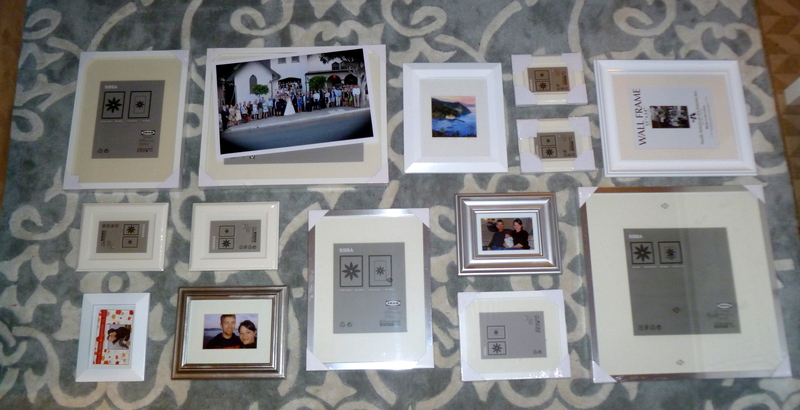 I started with a bunch of frames that I had been collecting, mainly from IKEA, Target, and TJ Maxx. A few were funky colors, but that was easily remedied with a can of white spray paint! 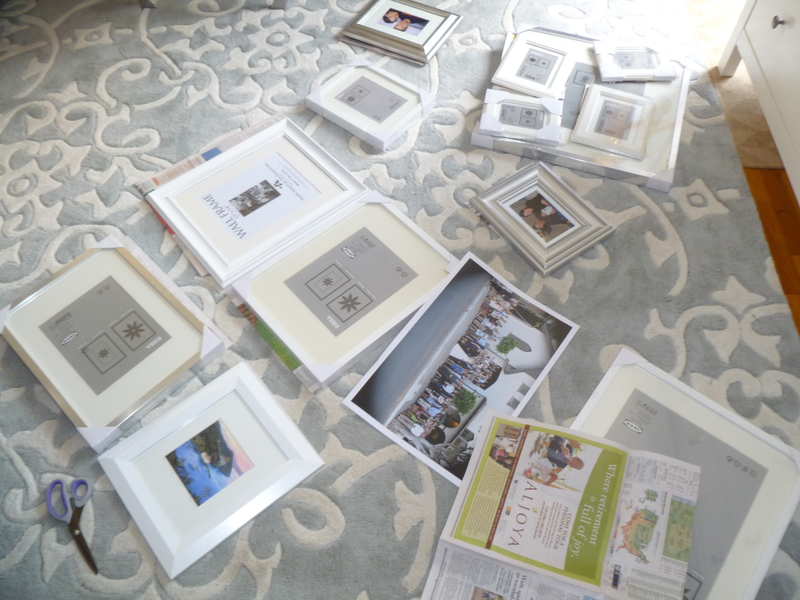 I started by laying out all the frames on the floor. It took a few different layouts to get get one that I liked…something balanced, but not too balanced. This is the one I landed on. Using an old newspaper, I traced each frame on to a piece of paper and cut them out. Then for each frame, I took the measurement from the top of the frame to the hook, and copied it over to the piece of paper. Folding the paper in half was a quick easy way to find the center. And then hammered a nail into each piece of paper…X marks the spot! 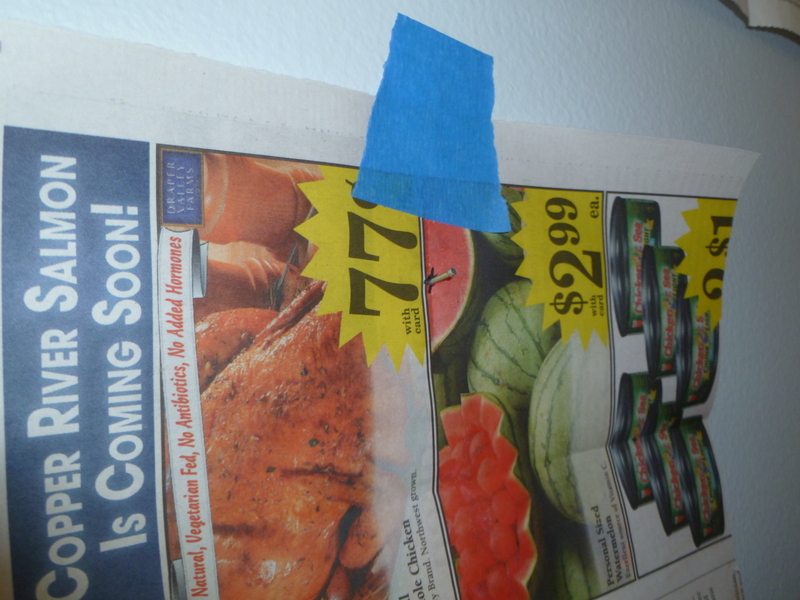 Once all the nails were in, I tore down the paper and replaced them each with a frame. The gallery wall didn’t extend all the way to the door…I wasn’t totally sure what to do with the extra space, but then I came across this cardboard J at Michaels, spray painted it silver and put it up. I kind of always thought it looked a little out of place, but figured that it could easily come down or get moved. On our trip to Paris last fall, we both fell in love with this painting that was being sold at a little artist square in Montmartre. 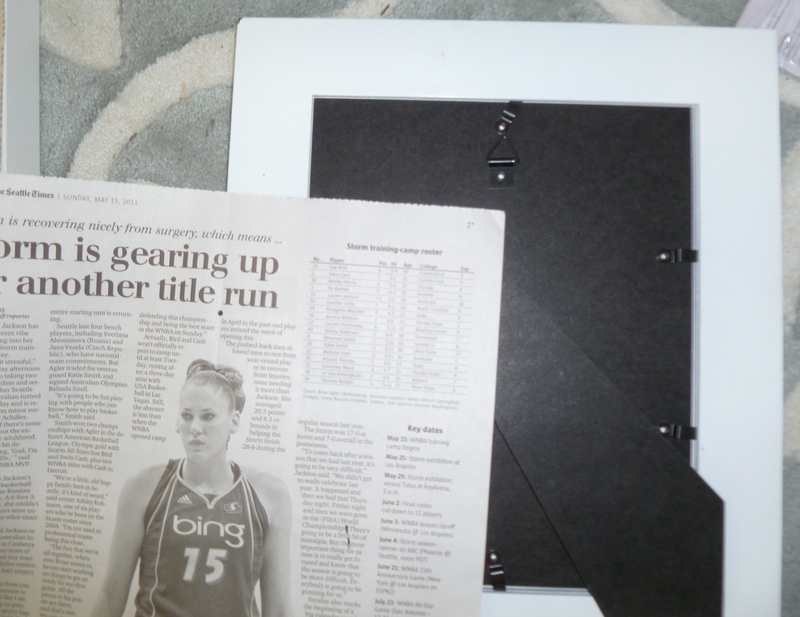 As you can tell, it still needs a frame…until then it’s being hung with binder clips. 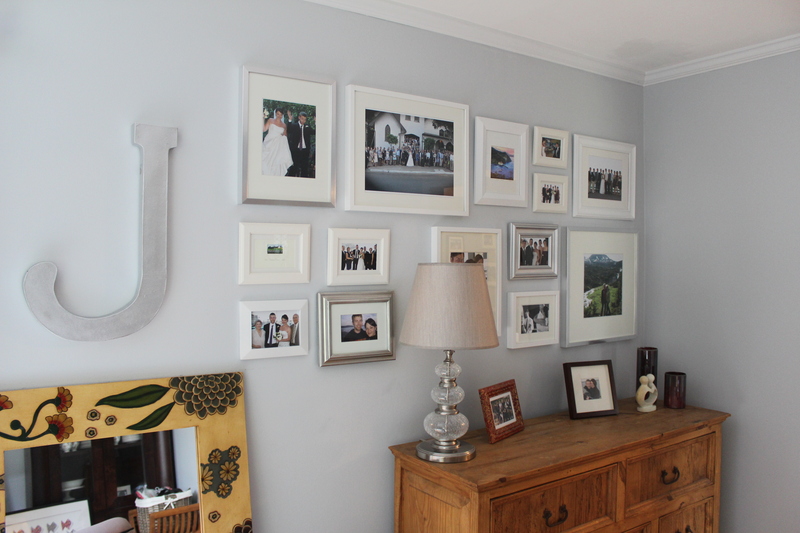 What I love about the gallery wall is that the pictures can be changed out so easily. Right now, we mainly have wedding photos, but I look forward to putting new photos over the next year! This is the second time I’ve read your blog & I’m so glad to have stumbled upon you/it! 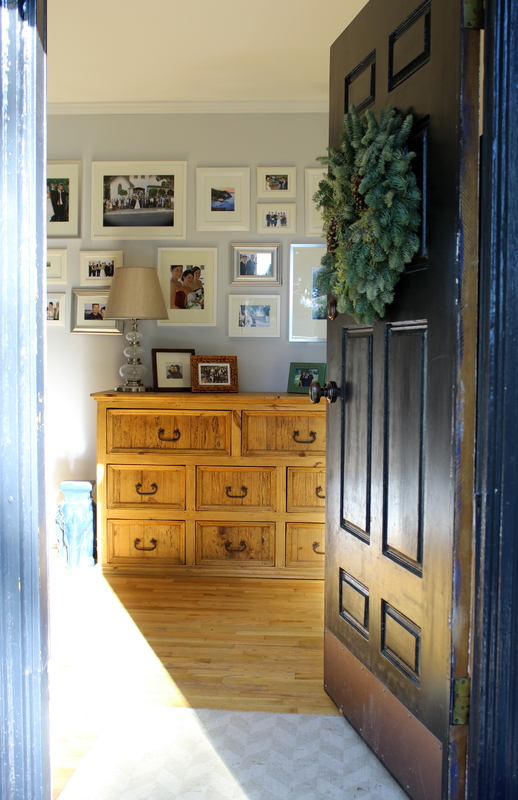 What a beautiful beautiful entryway Em – love it!! Looks great, we even see us (barely) in one of the pictures! Beautiful job and what a light-filled house you have!